Marine Watch – A blog on American foreign policy, national security, and all things Marine Corps. A blog on American foreign policy, national security, and all things Marine Corps. The war against ISIS is ramping up, following the Paris attacks. Politico published a great article about how the French, while militarily small, definitely know how to fight. The article discusses recent wars the French have launched and how the French are not at all opposed to very risky operations. This includes airborne operations, going in with ad hoc units even if outnumbered, and operating with insufficient water and medical supplies. Great article if you a moment: The French Way of War. Bet on it: Hollande’s counterattack against the terrorists is going to hurt them. I also came across a great article describing how AC-130 Gunships and A-10s destroyed 116 ISIS fuel trucks over the weekend. ISIS reportedly has about 1,000 fuel trucks, so this was a serious blow for a single weekend. Targeting fuel trucks used to be off limits because of the civilians operating them, but shortly after the Paris terrorist attacks the rules of engagement changed. Interestingly, we dropped leaflets one hour prior to the strike warning the drivers to get away from the vehicles, and believe it or not, I’m more than okay with this. I think there’s a good chance many were pressured or forced into driving for ISIS. (Read the comments at the bottom of the article for some of the great pros and cons of this. Finally, Russia pounded ISIS for perhaps the first time with a massive bombing raid. This short article shows the enormity of what Russia pulled off, and it’s nice to see them pounding ISIS instead of rebels fighting Assad. Equally nice, they coordinated with the U.S. prior to the strikes. I’m glad to see Putin coming back into the fold some, though it could be mere connivign on his part. Only time with tell. Regardless of the true or not-so-true implications of possible improving Russia/U.S/world relations, it seems abundantly clear that it’s been a rough few days for ISIS. And I don’t see this changing any time soon. 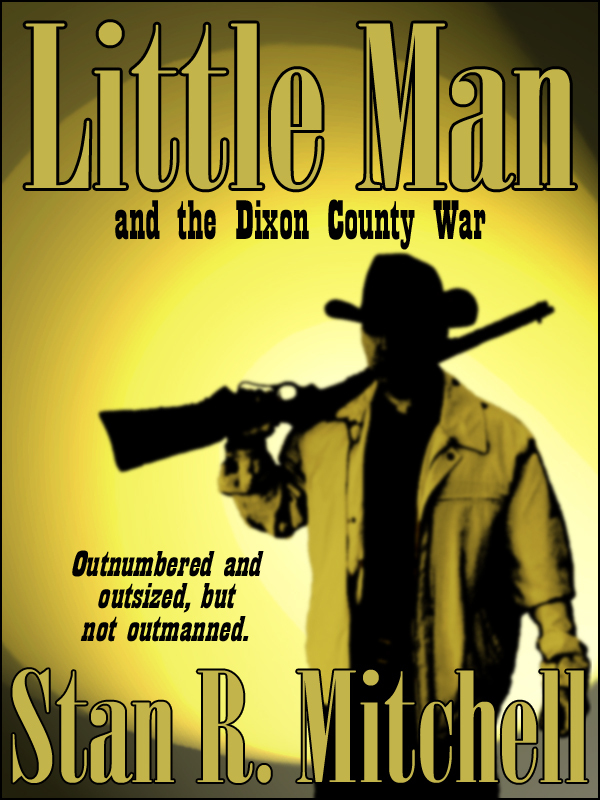 About me: Stan R. Mitchell writes some of the most action-packed, fast-moving gunfighter novels around. Tired of slow-paced, investigative novels that take 50 pages to excite you? Look no further! 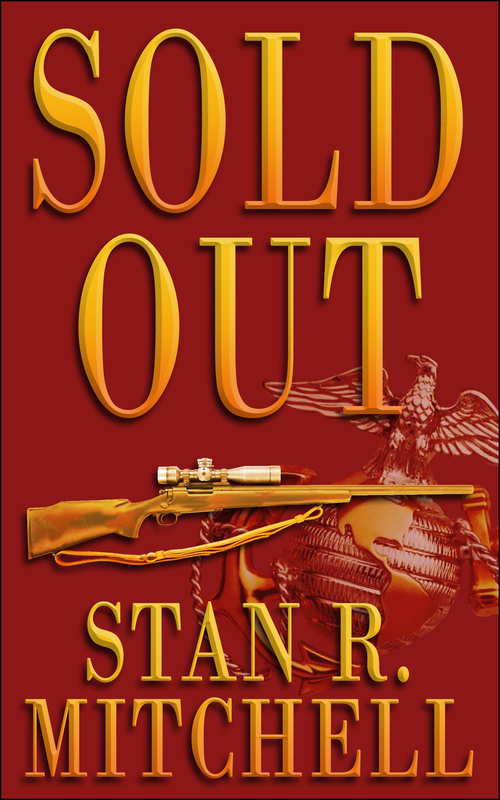 Stan is the best-selling author of 5 novels in 3 different time periods. He’s also a prior infantry Marine with Combat Action Ribbon, and a former journalist who spent ten years in the newspaper business, learning how to hook the reader, cut out the filler, and just tell the story. In short, Stan is knowledgeable, he’s fast, and his books will blow you away. Don’t forget to subscribe for email alerts to this blog. I apologize for the lack of posts of late. Was buried on a book deadline and that took a couple of weeks to recover from. Then, with all the presidential primary ugliness, I found myself just sick and tired of all the politics regarding foreign policy and nearly everything else. Have I mentioned lately how much I despise how politics so badly divide us? Or maybe it’s political parties? Or maybe it’s the media? Or maybe it’s politicians with egos that are far too big? Or maybe it’s that we all shoot off our mouths too quickly (and too sharply)? Regardless, I get sick of it all, and when I do I go hermit mode and try to stay away from it all. And that unfortunately means I blog less. Having said all that, I thought I’d try to get back up on the horse. With the Paris attacks just days ago, it seemed a good time to remind people how we got where we are. I thought this was an excellent, short summary of how Syria fell into chaos and civil war. 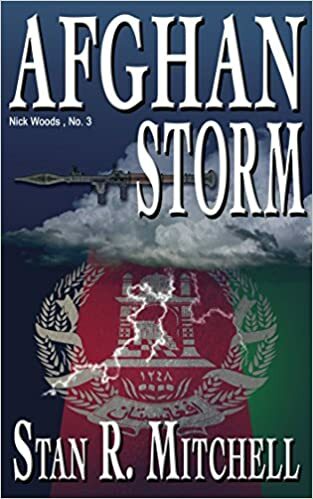 Oh, and I noticed there were several of you who were not on my regular mailing list for my primary author site (stanrmitchell.com), so for those who don’t know, I published the third book in the Nick Woods series. 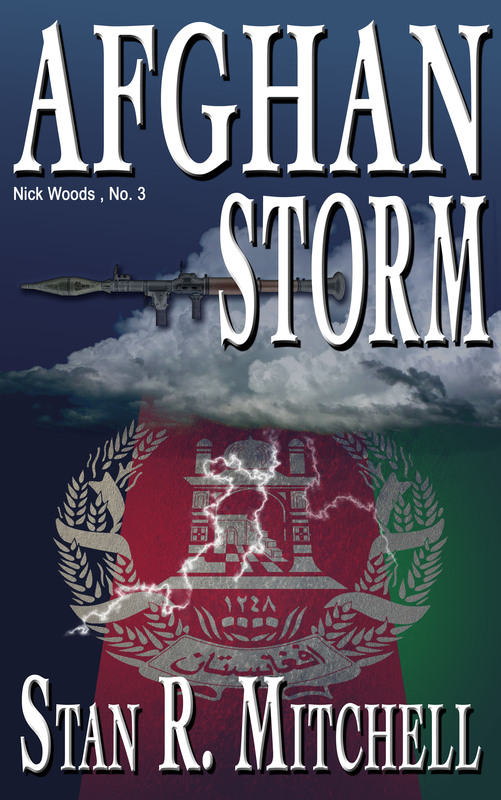 It’s called Afghan Storm and you can find more info about it at the link. Thanks, everyone! Keep your heads on a swivel and stay alert out there. About me: Stan R. Mitchell writes some of the most action-packed, fast-moving gunfighter novels around. Tired of slow-paced, investigative novels that take 300 pages to excite you? Look no further! Stan is the best-selling author of 5 novels in 3 different time periods. He’s also a prior infantry Marine with Combat Action Ribbon, and a former journalist who spent ten years in the newspaper business, learning how to hook the reader, cut out the filler, and just tell the story. In short, Stan is knowledgeable, he’s fast, and his books will blow you away. Don’t forget to subscribe for email alerts to this blog. Some good ideas for a U.S. strategy in Syria? I really liked some of the ideas retired Army Gen. David Petraeus offered up for Syria. With the refugee crisis, continued power of ISIS, and arrival of Russian troops, it’s time we do something. In Syria, he said, the United States must commit to protect civilians and rebel forces from Syrian President Bashar Assad, explaining that Assad’s attacks on civilians have “been a principal driver of the radicalization” fueling the Islamic State of Iraq and the Levant and the current refugee crisis. What do you guys think? And seen any better suggestions? About me: I write military action books similar to Vince Flynn, Stephen Hunter, and Tom Clancy. I’m also a prior USMC Sgt with Combat Action Ribbon, and a guy who spent 10+ years writing every day in the newspaper business — 9 of them with a newspaper that I started. Please consider subscribing for email alerts — I mostly post about American foreign policy, national security, and all things Marine Corps. This is going to be interesting to watch play out: Marines seek to keep combat jobs closed to women. Essentially, the Marine Corps will be the lone service fighting this battle, and I say battle because I’ll bet this gets ugly before it’s over. All other services, including the Army, Navy, Air Force, and U.S. Special Operations Command (including the SEALs), have decided women can fight on the frontlines, as long as they meet the standards. As many of you all saw, two women recently graduated Ranger School. This will be an ugly fight for the Marine Corps. 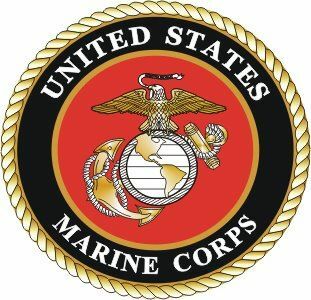 There are huge political implications, as Navy Secretary Ray Mabus has stated he opposes the argument from the Marines. He feels women should be allowed to compete for any Navy or Marine Corps combat jobs. One member of Congress who served in the Marines has already called for Mabus’s resignation, because he’s refusing to accept the Marine Corps’s recommendation. I personally don’t believe this is a fight the Marine Corps can win. The media and vast majority of the public has already made its mind up on this subject. Furthermore, women have shown immense bravery on the battlefield, in everything from helo’s to unarmed trucks that have been ambushed. I was tempted to cop out and not state my opinion on this, but I know some commenter will probably ask, so I’ll just go ahead and say it. I’m what you would call a moderate on this issue. Frankly, I think most people don’t have a clue what they’re talking about when they discuss this issue. They haven’t served, carried a pack 18 miles, or qualified with a rifle and iron sights at 500 meters. Nor have they been under fire and shared a fighting hole with someone. Even having survived four years in the infantry, I once made this argument to a fellow Marine about only larger men being allowed to serve in the infantry. By then, I was a sergeant and certainly had his respect. He was a big infantry Marine, and I expected him to agree with me. For those who don’t know, Audie Murphy was one of the most decorated soldiers in World War II. He was turned down by the Marine Corps for being too small, and eventually joined the Army, where he earned the Medal of Honor, Distinguished Service Cross, two Silver Stars, two Bronze Stars, and three Purple Hearts. Okay, I had to concede my friend had a point. Actually a really strong one. So bottom line, do men have some physical advantages over women? Absolutely. And yet, if you ask, “Do I know some women who are physically capable of outperforming most men?,” the answer is yes. When I was in, I knew a female MP at Camp Lejeune who benched 300. Few men can do that. I also have a female friend who runs marathons for fun and just joined the Marine Corps to become an officer. And we all know Ronda Rousey and a huge list of female fighters who spend more time spilling blood each week than I want to even think about spilling in a year. I get beat up and bruised up too much to even think about that, and that’s just from my Isshin-Ryu karate classes. So I’m certain my fellow warriors in the infantry will call me a sell out, but I’m afraid the writing is on the wall and the facts are pretty clear. The times, the technology, and the strong case made by so many women who have already served valiantly will ultimately defeat the Marine Corps on this decision. It may take years, but this is a battle that I’m afraid is already decided. But until that happens, you can expect a lot of hot-headed commentary from both sides. Now, please keep it kind in the comments, and tell me what you think. Thanks! Politico has a great story running right now: ISIL Is Winning — Fourteen years after terror struck the U.S., our strategy to defeat terrorism is failing. Unfortunately, it’s a pretty long article that most people will probably find too long to read. As such, I thought I’d cut and paste some key graphs from the article. ISIL is something the world has never seen before. During the summer of 2014, for example, it launched a battalion-sized assault and defeated 30,000 U.S.-trained Iraqi soldiers. As the defenders fled, they left behind approximately three military divisions’ worth of equipment, including American-made Humvees and M1 Abrams tanks, totaling tens of millions of dollars. ISIL had already seized large stockpiles of weapons, equipment and cash while fighting in Syria and has recently employed chemical weapons on several occasions. The size, weapons and tactics of ISIL forces—combined with their ability to seize and hold terrain—are arguably unique in the annals of terrorism. I’m pretty much an eternal optimist, but even I can’t really dispute the facts of this article. About me: write military action books similar to Vince Flynn, Stephen Hunter, and Tom Clancy. I’m also a prior USMC Sgt with Combat Action Ribbon, and a guy who spent 10+ years writing every day in the newspaper business — 9 of them with a newspaper that I started. Please consider subscribing for email alerts — I mostly post about American foreign policy, national security, and all things Marine Corps. I wanted to share the review I wrote up on Amazon regarding a book that might interest many of you. A guy by the name of Capt. Bocian, who earned a Bronze Star and Purple Heart as a part of two tours in Iraq, wrote a hell of a book on PTSD and dealing with the feeling many vets feel after they exit. It’s probably the most honest post-deployment book I’ve ever read. 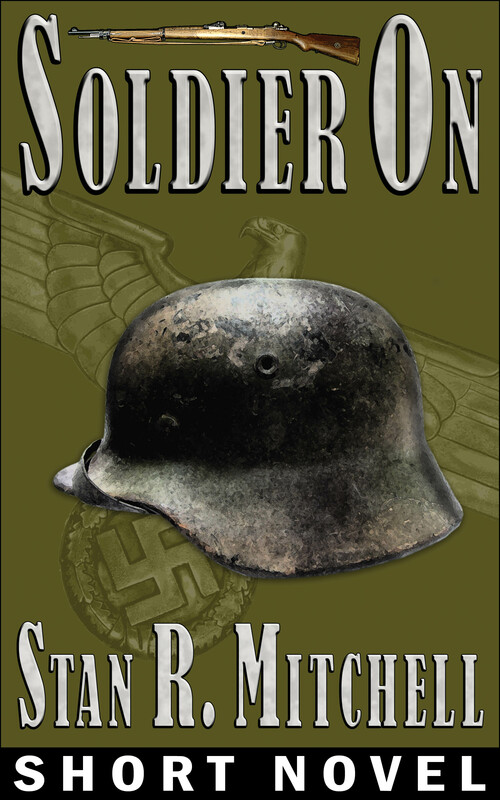 This was an incredible book that nearly every veteran needs to read. The book is a searing, often painful look into living with PTSD, and even vets who didn’t see combat will relate to parts of it. Such as the feeling most of us have that we were “quitters” for getting out. 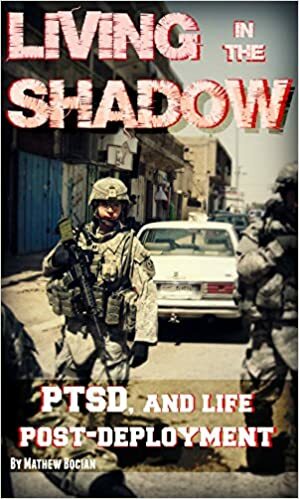 Bocian opens up his soul and shares the things that have helped him deal with PTSD, and even provides a bonus chapter on his thoughts as a veteran who sacrificed so much in Iraq only to see much of it fall into the hands of ISIS. This is a compelling read that you won’t regret buying. Semper Fidelis to you, Captain Bocian, and all the other veterans who are struggling with PTSD and post-separation syndrome from having departed the military. My last post on the F-35 elicited a great comment from a man who’s been there and done that, as far as serving in the military. He’s served in two branches, pulled time with two tours in the infantry in Vietnam, and retired out as a Warrant Officer. “As far as that “…things change” crap, how about the A-1? It was an old beat up prop job that all the hot-shot jet jockeys (USAF) used to laugh at. Of course, it could loiter over the battlefield for hours, carry a boat load of ordnance, and blow the smack out of the bad guys sitting a few yards in front of your position. Just for grins, there were also documented instances of them going head-to-head with Migs and shooting them down. “Things change? Not really. The procurement folks are always going to bought off by the Govt contractors, the military are always going to be stuck with the latest gee-whiz crap, and the taxpayers are stuck footing the bill. “Whoever came up with the “Joint” part of this project pretty well made it bullet proof against cancellation. You’ve got all the services slated to get it, production facilities all over the country, (so lots of senators and congress critters will keep voting regardless of the merits), and lots of lobbyists raking in the big bucks to keep it going. “I think “Joint” projects go along with “Comprehensive” legislation. You just keep throwing more and more stuff in there and everyone making money on the result is happy. “The Army’s rotary wing aircraft seems to set a good example. They have a good variety of platforms, each designed for very specific missions. It makes sense to (1) identify the mission, then (2) design the platform. The design, testing, and deployment is much more direct and simple, and KISS is still a valid operating principle. About me: I’m a full-time, action-fiction author with books similar to Vince Flynn, Stephen Hunter, and Tom Clancy. I’m also a prior infantry Marine with Combat Action Ribbon, and entrepreneur who spent nine years running a weekly newspaper that I started. Please consider subscribing for email alerts — I mostly post about American foreign policy, national security, and all things Marine Corps.